dormakaba increased consolidated sales in the financial year 2017/18 by 12.7% to CHF 2,841.0 million as compared to CHF 2,520.1 million in the previous year; the organic sales growth rate was 2.6%. Acquisitions and divestments contributed 8.2% to the sales growth; currency effects accounted for another 1.9%. Key & Wall Solutions as well as Access Solutions Asia-Pacific, where the integration process has been completed, saw pleasing growth rates, while Germany and the USA were still significantly impacted by the integration process in the last financial year. Riet Cadonau, CEO dormakaba: “In light of the progress made with regard to integration, the results for the 2017/18 financial year are solid but below our expectations. We made good headway in transforming from an international niche player to a global one-stop-shop, and we are in very good position for further profitable growth." The EBITDA improved by 11.3% to CHF 431.0 million, compared to CHF 387.3 million in the previous year. Acquisitions and divestments had a positive effect in the amount of CHF 52.1 million, as had the currency effects amounting to CHF 9.7 million, while organic business impacted EBITDA negatively by CHF 18.1 million due to lower results, in particular in the USA and in Germany. The EBITDA margin reached 15.2% compared to 15.4% in the previous year. The lower EBITDA margin is due to integration-related IT costs, unfavourable product mix effects and delayed efficiency gains in Germany that could not be compensated by higher volumes, acquisitions, or integration-related cost savings. In financial year 2017/18, dormakaba generated profit before taxes in the amount of CHF 315.7 million, compared to CHF 295.2 million in the previous year. Income taxes came to CHF 77.0 million which corresponds to a tax rate of 24.4%. dormakaba generated a net profit of CHF 238.7 million in the financial year 2017/18, compared to CHF 224.6 million in the previous year. The increase by 6.3% results primarily from the contributions of acquisitions in the past two financial years. Thanks to the improved net profit the Board of Directors proposes to the Annual General Meeting to increase the dividend per registered share for the financial year 2017/18 by CHF 1.00 over the previous year and pay out CHF 15.00 per registered share fully from reserves from capital contributions. Cash flow generated from operations in the financial year came to 367.2 million. The higher operating cash flow primarily results from the contributions of the acquisitions. The cash flow used in investing activities of CHF 231.8 million comprises CHF 115.3 million for investments and CHF 141.5 million for acquisitions. dormakaba's balance sheet total as of 30 June 2018 was CHF 1,982.3 million (30 June 2017: CHF 1,909.0 million) and net debt totalled CHF 701.2 million (30 June 2017: CHF 627.6 million). This increase is mainly related to the acquisitions completed during the year under review. As of the balance sheet date (30 June 2018), the equity amounted to 187.0 million (previous year CHF 183.1 million) because the profit generated compared with the goodwill from acquisitions directly charged to equity without effect on earnings and the dividends paid in the year under review were almost equal. AS AMER generated total segment sales of CHF 828.4 million, while organic growth was flat (0.0%). At 19.7% the EBITDA margin was lower than in the previous year (21.0%). AS APAC achieved an organic growth of 4.5% and generated total segment sales of CHF 468.0 million. The EBITDA margin increased to 14.1% (previous year 12.6%). AS DACH reported an organic growth of 2.0% and generated total segment sales of CHF 851.6 million. The EBITDA margin was 17.3% compared to 18.7% in the previous year. AS EMEA saw an organic growth of 2.5% and generated total segment sales of CHF 781.9 million. The EBITDA margin increased to 7.3% (previous year: 6.7%). In November 2017 dormakaba combined the segments Key Systems and Movable Walls to the segment Key & Wall Solutions. The new segment generated an organic sales growth of 4.9% and achieved segment sales of CHF 387.5 million in total. The EBITDA margin increased to 14.6%, compared to 14.3% in the previous year. In most countries the integration was largely completed as planned in the financial year 2017/18. However, business and performance in Germany and the USA was impacted more than expected by the integration process. While the relocation of standard door closers from Germany to Singapore and China was completed as scheduled, part of the efficiency gains in Germany will be achieved only with a delay. This is due mainly to the socially acceptable measures relating to job reductions agreed with the social partners. All in all, dormakaba expects that the merger-related synergies will only be achieved in the financial year 2019/20. In financial year 2017/18, dormakaba further adjusted the business portfolio to strengthen its core business: Both Dorma Beschlagtechnik (Germany) and GMT (China) were sold. In addition, dormakaba concluded an agreement with its partners in India about the dissolution of the joint venture Dorset Kaba. After balance sheet date, dormakaba announced the agreement on the sale of its 40% minority shareholdings in ISEO. In the year under review, dormakaba acquired Kilargo (Australia), Skyfold (Canada) and the business for physical access systems for commercial buildings of the Cambaum Group (China) as well as the Klaus Group (Peru). On 19 July 2018, dormakaba published preliminary key figures for the 2017/18 financial year and also announced an adjustment of the timeline for achieving its medium-term financial targets. In line with its strategy, dormakaba will continue to invest heavily in innovation as well as allocate substantial additional funds to digital transformation in the coming years. The company thus aims to achieve its targeted EBITDA margin of 18% at the latest by 2020/21 instead of the 2018/2019 financial year, provided the business environment is stable. Also by 2020/21, organic sales growth should be 200 basis points above the GDP growth in dormakaba’s relevant markets. For 2018/19, dormakaba intends to substantially increase its investments in IT to advance digitization of the company. In addition, with a view to strengthening its innovation power, the company aims to continue to invest around 4-5% of its sales in research and development, which corresponds to over CHF 100 million. For the current financial year 2018/19, dormakaba expects an EBITDA margin in the range of 16.0%-16.5%, mainly driven by cost synergies from the post-merger integration, additional improvements of the cost base and benefits from sales excellence measures. dormakaba expects an organic sales growth rate in line with the previous year. The Board of Directors proposes to the Annual General Meeting a dividend payment of CHF 15.00 per registered share for the 2017/18 financial year, paid out from reserves from capital contributions. This corresponds to a year-on-year increase of CHF 1.00 per registered share. The pay-out ratio of 50.9% is in line with the Board of Directors’ targeted pay-out ratio of a minimum of 50% of the consolidated net profit after minority interests. Ulrich Graf, Chairman of the Board of Directors of dormakaba Holding AG, and Elton SK Chiu, member of the Board of Directors, will not stand for re-election at the Annual General Meeting on 23 October 2018. The Board of Directors thanks Ulrich Graf and Elton SK Chiu already today for their valuable work for the company for many years. With the exception of Ulrich Graf and Elton SK Chiu, all other incumbent members of the Board of Directors will stand for re-election. In addition, the Board of Directors proposes the election of Riet Cadonau as new member and Chairman, the election of Jens Birgersson, CEO of the Danish Rockwool International A/S as new member as well as the re-election of Rolf Dörig, Hans Gummert, and Hans Hess as members of the Compensation Committee. 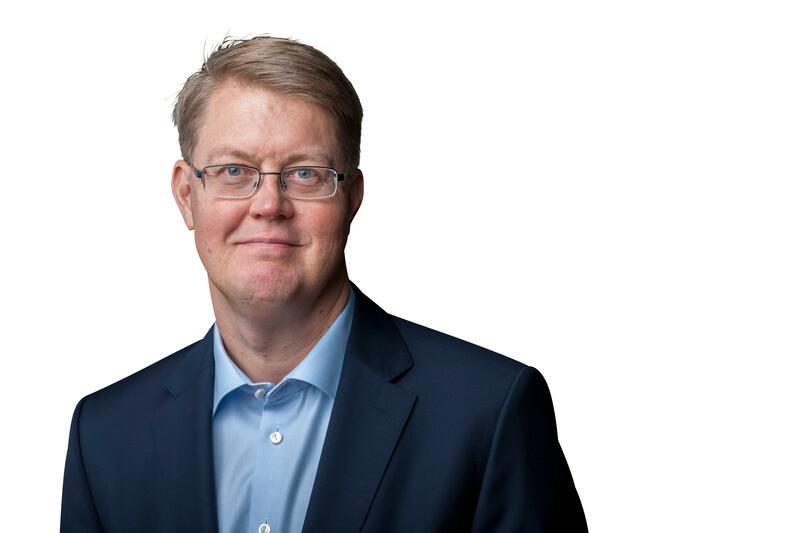 Jens Birgersson, who has been proposed for election as a new member, has gained broad experience working for several globally focused industrial companies, both as a CEO and a board member. Since 2015 he has been President and CEO of the internationally active Danish company Rockwool International, which has around 11,000 employees and sales of CHF 2.6 billon. His wide range of experience extends across many areas, from products and systems to services and, in particular, software. The Investor and Analyst Conference will be broadcasted starting at 1.00 pm CEST.